Confessions for a Son juxtaposes photographs I made in 2010 and 2011 concerning the lasting psychological landscape of my fathers legacy with images taken by him roughly 40 years ago to explore a complex relationship between father and son and the disappearance of an American, agrarian way of life. There was no man that my father admired more than his father, and no one his father admired more than the man who raised him. With tenderness of heart and warm humor my father met everyone as his equal. Upon his death in November 2000, I was exposed to our family businesses insolvency. Dad faced a series of devastating fires, bad crops, perpetual over-extension and high-interest loans. Five generations of familial and financial stability fractured. While the economic effects were immediately obvious, the emotional implications lingered beneath the surface for nine years. 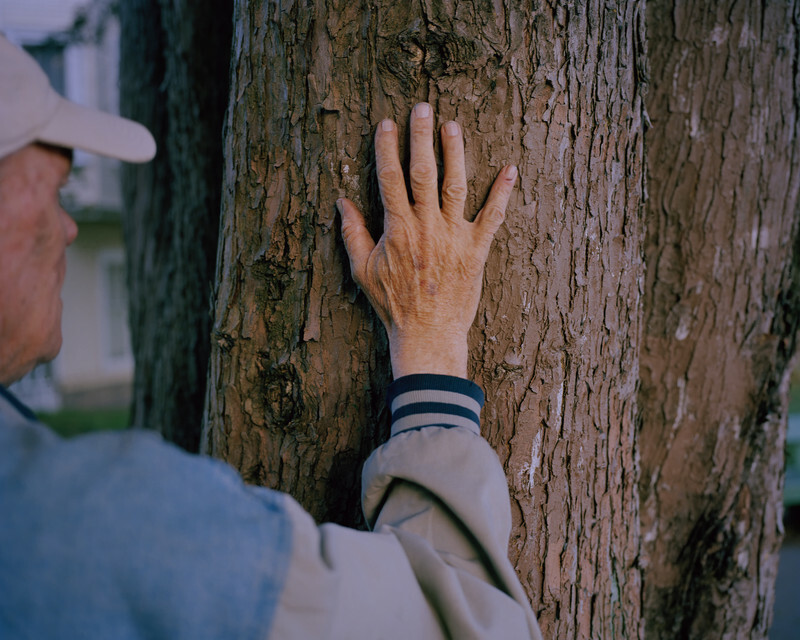 In 2010 I returned home to photograph the lasting psychological landscape of Dad’s legacy. Retracing my father’s life, I used photography to comprehend its events. Visiting the farms where we hunted, his college dorm rooms, and his oldest friends, I photographed his family members and businesses while researching his character and actions. I could not equate these. These photographs narrate my journey between isolation and acceptance. Initially confused and angry, I grew to know him as a teenager, college student, co-worker, life-long friend, and father who lovingly withheld business realities. I witnessed shortcomings and successes and found empathy with a man who faced so much in his life. His sacrifices cost the ultimate price, and accepting that some questions may never be answered, I grew to love him again.